Mailspect Defense is a multi-layered mail filter that protects the email stream from computer viruses, spam, phishing, malware, and Internet attacks. Mailspect Defense filters email at the gateway, MTA or email/groupware/collaboration server level. Mailspect Defense combines scanning engines, content filters and connections to reputation lists to provide robust email security. Antivirus engines: Clamd, Cloudmark, ESET and F-PROT. Antispam engines: Spamassassin, Cloudmark and Mailshell. Proprietary attachment blocking and stripping filter. 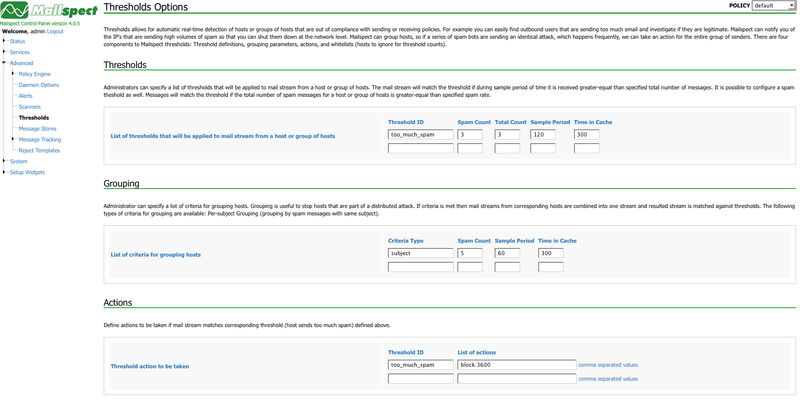 Mailspect’s mail filter also incorporates user-generated white, black, grey and access control lists. 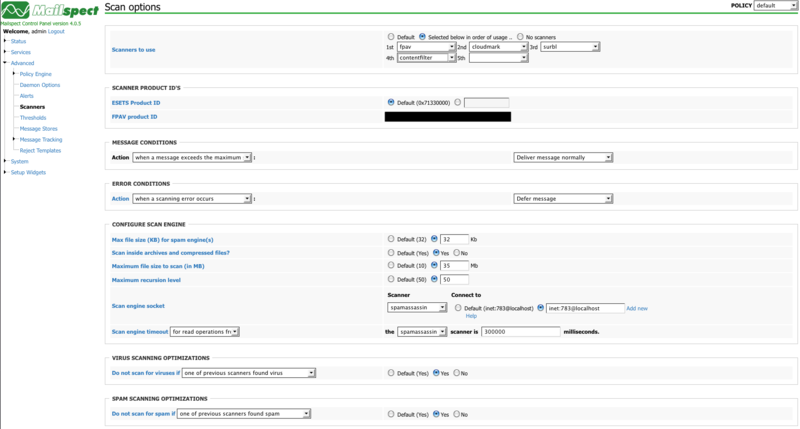 White and black lists can be generate at the end-user and administrator level. Grey and access control lists are set by email administrators. With Mailspect, an email adminstrator can string together up to six scanning engines in a processing pipeline using the GUI. Using the Command Line, even more fixed and flexible scanning engines can be sequenced. Through serial processing of the email stream through multiple filters, an email gateway, MTA or server can be protect against virtually every threat. Using rate limiting or threshold techniques, Mailspect Defense also protects gateways, MTA’s and mail server from denial of service attacks, dictionary attackers, NDR spammers and Auto-response phishers. When the volume of email from any IP address, domain or email address or containing specifc content gets too high, the system automatically blocks the offending emails.